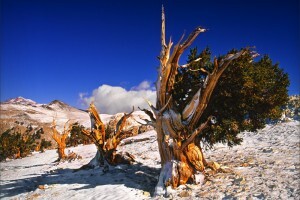 Bristlecone is named after the Bristlecone Pine Tree. This name represents not only our agency’s rich and lengthy history, it also describes the experience of our clients who have survived and overcome difficult circumstances and are now healthy and thriving individuals. Bristlecone Family Resources was formed in 2002 when two longtime Reno treatment centers merged into one family-focused agency. SageWind Adolescent Treatment Center and NorthStar Treatment Center (formerly NASAC) combined have served northern Nevada for more than 60 years. Bristlecone continues to build upon this rich history and is named after the Bristlecone Pine Tree because this remarkable tree has the ability to fully regenerate itself, even on the brink of death. This name represents not only our agency’s rich and lengthy history, but it also describes the experience of our clients who have survived and overcome difficult circumstances and are now healthy and thriving individuals. Bristlecone continues to build upon its history by expanding and evolving to fit the needs of our community. In addition to treating alcohol and drug addictions, our agency has a full-service gambling addiction program -one of the only residential programs in the western United States. In addition to addiction treatment, Bristlecone offers family counseling services, and continues to expand recovery support programs for those who have completed more intensive treatment.